*Authorized Dealer of Shaw Floors* Blackburn's Interiors is a third-generation, family owned company that has been located in Winter Haven and servicing the entire Polk County area since 1962. We offer quality flooring products in carpet, hardwood, laminate, vinyl, tile, and stone in the residential, commercial, and industrial markets. 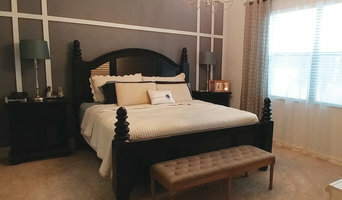 In 2013, Blackburn's Interiors moved from downtown Winter Haven into its newly remodeled 11,000 square foot showroom. 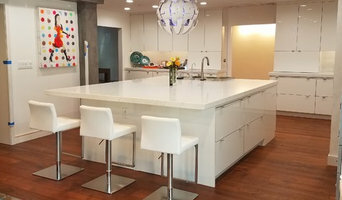 This has allowed us to showcase a more variety of flooring, cabinets and window treatments so our past and potential customers can easily navigate to old favorites or new designer trends. Additionally we offer blinds, shutters, shades, and custom window treatments. Blackburn's Interiors, Inc. has the only on-site workroom for custom-made window treatments in the county. Installation is available on all products with honest, dependable craftsmanship that will keep your products looking new for years to come. You will always find Blackburn's Interiors, Inc. prompt and courteous. *Authorized Mohawk Dealer* Our stores in Minneola and Winter Garden service South Lake and West Orange County. Minneola, FL · (352) 394-0303 Winter Garden, FL · (407) 410-8998 Mark's Floors is family owned and operated by Mark Compston. We service homeowners, realtors, contractors, and builders in Clermont, Minneola and surrounding areas. At Mark's Floors you always get Great Service and Great Prices. As a customer of Mark's Floors, we can guarantee your total satisfaction with our service and installation of the product of your choosing. All you need to do is contact us by calling 352-269-4416, email us at info@marksfloorsonline.com and we will get in touch with you to set up an appointment. You can come meet with us at our showroom or we can come to your home to meet with you. 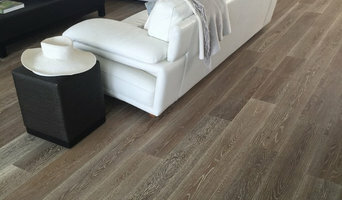 At that time, you will be presented with samples of the products as well as professional recommendations that will suit all your flooring needs. We look forward to working with you to provide the most durable, stain resistant, guaranteed products that will last and accommodate your families lifestyle. Feel free to explore our products online or contact us and we will come to you. At Floors For Any Room, we provide quality products and installation of all flooring types. We match the product to the client need. We are a local family owned flooring business, and have all types of flooring to help enhance your home or place of business. Our brands include Mohawk, Phenix, Alliance, Carpet Tiles, Crossville, Tesoro, Nuvelle, Fusion and more! We are open Monday - Friday: 9:00 AM - 6:00 PM and look forward to working with you on your flooring needs! At PDS Flooring & Trim, we are focused on providing outstanding services with the highest levels of customer satisfaction – we will do everything we can to meet your expectations. *Authorized Dealer of Shaw Floors* Aldrich Rug Cleaners was established in 1949 by the Aldrich Family. In 1970 David Ansbro Sr. started working as a lead flooring installer then later purchased half of the business in 1985 with Mark Aldrich as his bushiness partner. In the early 2000's Mark Aldrich decided to retire and sold the remaining half of the business to David Ansbro Sr. The Ansbro Family has owned and operated the business since the early 2000's. David Ansbro Jr along with his wife Melissa now manage the day to day business . The Ansbro family strives to keep the reputation strong that the Aldrich family started in the community for over 65 years. Our services include: Service Residential & Commercial Sales & installation at competitive prices Use only our own installers FREE estimates Large selection of top brands 3,000 sq. ft. Showroom! Way Floors is A Factory Direct Flooring Company Offers Quality Products At the Most Competitve Price . Since 2005, Flooring Liquidators has offered the largest selection of high-quality tile, hardwood, laminate, and waterproof flooring at the best prices in Pinellas County. So stop by and visit us today! We’d love to show you what makes us the best flooring store in the Tampa Bay area. JNS Flooring and Supplies Inc., is one of the largest online suppliers of floor covering installation products, flooring tools, accessories and flooring in the industry. We pride ourselves in offering quality merchandise that is competitively priced. 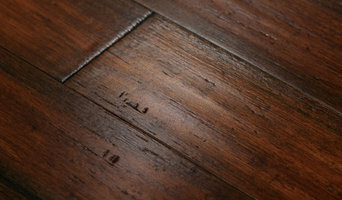 jnsflooringandsupplies.com has provided the floor covering installation professional since 2004. Dealing with the leading manufacturers of the industry, we have several fully stocked locations throughout the Midwestern United States from which to fill your orders. We stock quality products from manufacturers you can trust, like Taylor Adhesives, Crain, Gundlach,TaylorTools, Mapei, National Carpet Equipment and Rubi Tools and much more.....We honor all manufacture's warranties. jnsflooringandsupplies.com prides itself on committed customer service. Known for our expert technical knowledge, if we cannot answer your question immediately, we will respond with an informed answer within 24 hours. Our staff is trained to offer advice on a wide range of topics within the flooring industry. Please contact us with anything from carpet or tile installation to waterproofing and shower systems.